The tradition of having cast iron or copper kitchen sets in aristocratic Florentine houses takes roots from the 18th century. The Officine Gullo mill was founded in the suburbs of Florence over 30 years ago. From the very beginning the brand was focused on producing versatile kitchen equipment and furnishing using manual labor and stainless steel. 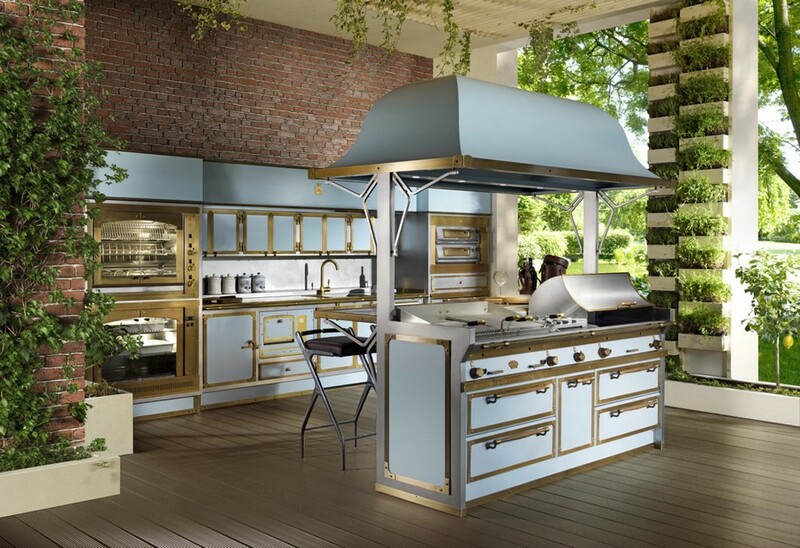 Today the company still specializes on professional cooking equipment and exclusively customized kitchen suites entirely made in metal. 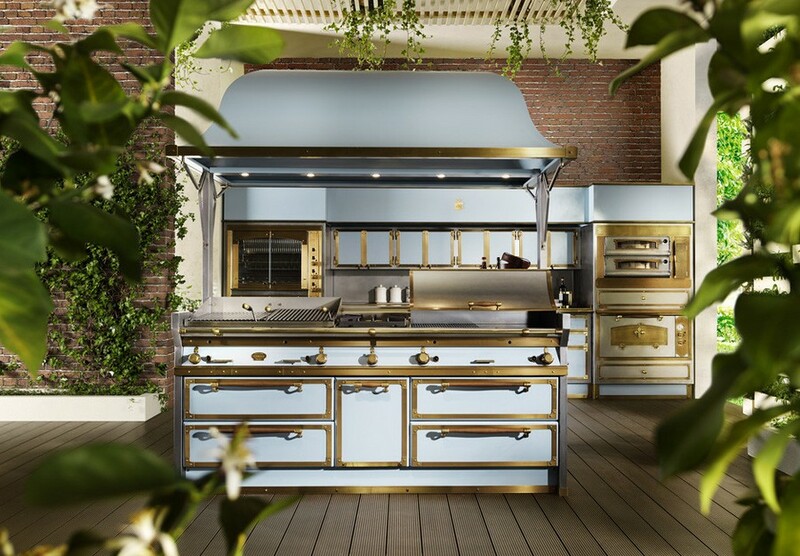 Professional cookers, extractor hoods, refrigerators, cookware and kitchen cabinets are hand-made by qualified craftsmen of Officine Gullo. 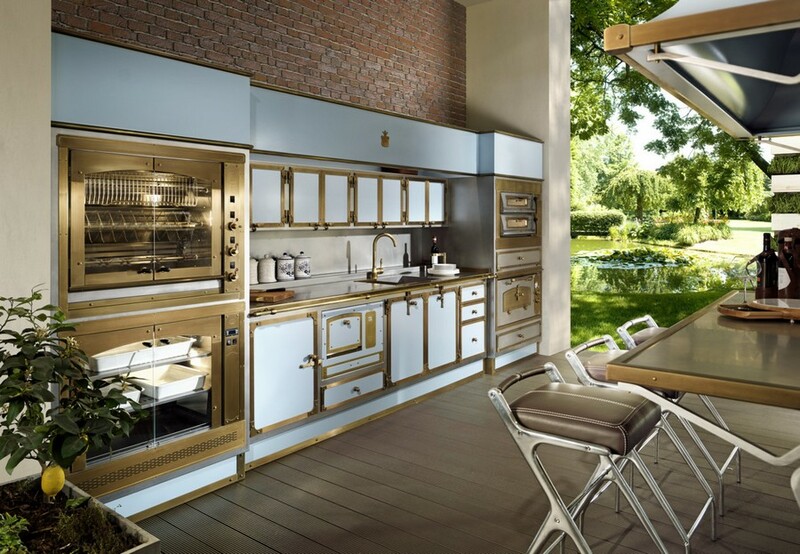 Every kitchen set produced at this Italian factory is one-of-a-kind, but sometimes its designers offer full-fledged kitchen solutions as an example of what you might have to start cooking at home like in your favorite restaurant. Let’s have a look at one of the latest novelties! The new product of Officine Gullo is dubbed “Pacific Light Blue”. 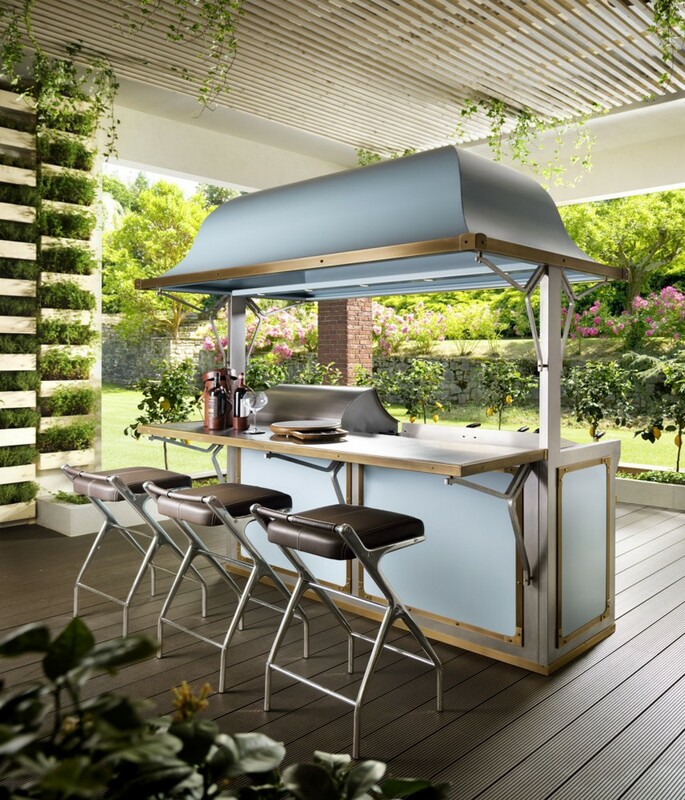 Designed in a soft blue color with enameled steel cabinets and knobs and handles in burnished brass, it is absolutely fit for both outdoor and indoor use. Such a suite can stand winds and rainfalls, sunlight and UV light. The heart of the collection is an island (116 x 208 cm). Its countertop is divided into two zones – a worktop and a bar table top. 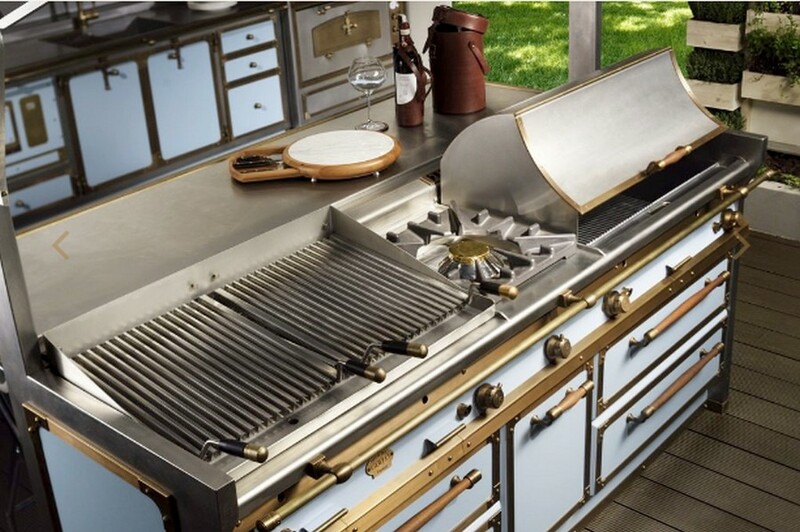 The island is equipped with a double barbecue and a big burner with high output power (up to 10kW). Fans of stakes and Teppanyaki-style cuisine would definitely appreciate a double fry top with both smooth and ribbed surfaces covered with a steel cap. As for the wall part of the suite, it includes a 460-sm-long worktop with a 60-cm-wide sink and a professional icemaker. It’s framed by two columns on both sides that comprise an oven with plenty of functions, a double oven for pizzas, a rotisserie and a dish warmer. And a finishing touch to this splendid cooking kingdom is brought by bar stools made from rigid die-cast aluminum and upholstered with hand-sewn leather.